According to the National Restaurant Association, Kansas is expected to bring in $4.7 billion in sales from restaurants in 2016. Restaurant and food service establishments play a significant role in the overall economy of the state. Currently, there are 134,800 jobs in the industry with an expected growth of 14,700 additional jobs by 2026. The demand for highly educated and trained culinary professionals will be increasing and earning a certificate or degree in culinary arts is a great way to get in on this exciting career. 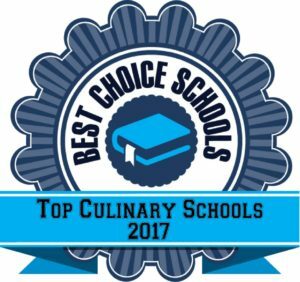 We developed a list of the top 10 best culinary schools in Kansas for 2016. We selected schools that offer a variety of degrees, certificates, and diploma options for individuals at all levels of the career ladder. Schools included in our list offer a variety of coursework, experienced faculty, a professional kitchen lab, and professional development opportunities. Each of these schools has a positive reputation in the industry based on our research. Flint Hills Technical College is a top culinary school offering both a Certificate and an AAS Degree in Culinary Arts. Students learn how to use modern kitchen equipment, work as a team, manage staff, and provide a sanitary cooking environment. Students have the opportunity to apply their skills in the classroom, working special events, and catering banquets held on campus. Students who begin working toward their Certificate can transfer credits into the AAS degree program as they work up the career ladder. Both American and International cuisine are a part of this program, allowing students to develop a diverse repertoire of techniques and skills. Broadmoor Technical Center features both a Culinary Arts Program and a Commercial Baking Program. The program is accredited by the American Culinary Federation and features field trips, guest speakers and hands-on learning. The Broadmoor Bistro on site restaurant allows students the opportunity to apply their culinary skills in a fine dining environment. Students working at the Bistro learn all aspects of the restaurant industry and discover just what it takes to run a successful business. Students Baking students learn the ins and outs of advanced baking production while learning European baking formulas. The Olathe Advanced Technical Center features a rigorous culinary program that teaches students the skills they need to be successful in the culinary industry. Students at this top culinary school learn how to develop menus, use knife and hand tools, implement cost control measures, study plating techniques for portion control, and understand legal liabilities. Students have the opportunity to apply their skills and training through Les Arts Culinaires. Les Arts Culinaires is a student operated restaurant with a menu and meal created and served by the students to the public. Second year students take turn managing the restaurant. Graduates of the program are prepared for supervisory positions in the restaurant and culinary industry. North Central Kansas Technical College is a top culinary school offering a one year Culinary Arts Certificate. Students are actively engaged in their learning through the use of a culinary laboratory allowing students to gain valuable experience in baking, nutrition, food preparation, buffet decoration, and catering. NCKTC also supports the creative side of the culinary arts by encouraging students to make fun foods with flames, knives, and creative chemistry. The program is three semesters and includes an internship opportunity. Kansas City Community College Culinary Arts-Technical Certificate is a 40-credit hour program with a broad curriculum. Students learn principles of baking, customer service, menu marketing, food production, International cooking, first aid, and employment skills. An internship experience and capstone project are required as part of the program to gain professional experience. Courses are offered in the classroom and in a kitchen lab to facilitate hands-on learning. Students have the opportunity prepare foods for public meetings and banquets. L’Ecole Culinaire Kansas City Campus is a top culinary school offering both a Culinary Fundamentals Diploma and a Culinary and Restaurant Management Degree program. The Diploma program can be competed in just 10 months and features 58 quarter hours of coursework and labs covering areas such as meat and poultry fabrication, culinary math, fish and shellfish fabrications, garde manger, and moist and combination cooking methods. The Degree program is a 70 week program with general education courses in addition to culinary courses. Students have the opportunity to apply their skills in the Presentation Room Restaurant, a student run restaurant serving lunch and dinner (and catering services!) to the public. The Art Institutes International in Kansas City is part of a network of Art Institutes that provide exceptional culinary programs in a variety of areas. Students learn in a state-of-the-art kitchen environment with faculty who are experts in the field. Students take part in community activities such as the Boulevard of Dreams fundraiser where they prepared and served a variety of appetizers and desserts. Students have the opportunity to gain professional work experience in the student operated restaurant 8208 doing everything from meal prep to serving the public. Graduates of the program are able to design a business plan for their own restaurant and have the ability to prepare a variety of ethnic cuisine in a professional manner. Washburn Tech is a top culinary school featuring a Culinary Arts Technical Certificate that can be completed in either one or two years depending on schedule. The program features hands-on training in a professional kitchen environment with experienced faculty. Students will learn baking, purchasing skills, restaurant supervision and management. The program is open to adults and high school students and the technical certificate can count toward a more advanced degree at Washburn. Butler Community College teaches students how to be successful in the high pressure field of culinary arts. The AAS Degree in Culinary Arts features a hands-on learning environment, allowing students to master their skills in an environment similar to what they will find in the workforce. Students are taught how to prepare a variety of dishes from different cultures in a professional manner. Graduates of the program are prepared for positions such as chef, line cook, prep cook, or catering chef. Johnson County Community College is a top accredited culinary school offering students the opportunity to pursue careers as a chef, baker, or food and beverage manager. The Chef Apprenticeship program is an ideal training program for students who want to obtain training from some of the best chefs in the country. Students learn both in a classroom setting as well as in state-of-the-art kitchens. This program was one of the first in the country to receive accreditation by the American Culinary Federation. The Baking and Pastry program features specialized training and the opportunity for students to gain work experience in the school’s pastry shop. This certificate can be completed in just one year of full time study. Food and Beverage Management students learn the skills needed to be a supervisor or manager in the industry. Coursework covers areas such as management, supervision, and accounting in addition to culinary coursework.